My last update of the day is a pretty good one. Every day at the Gathering of the Juggalos bands playing on the main stage stop around midnight. From that point on the tent set up on “Hepatitis Lake” called “Bomb House” goes off. There are nightly parties that go until five in the morning. In the past there have been some pretty awesome acts that play to a small tent of people. For example I sat on the stage and watched a pretty amazing Pharcyde set last year. 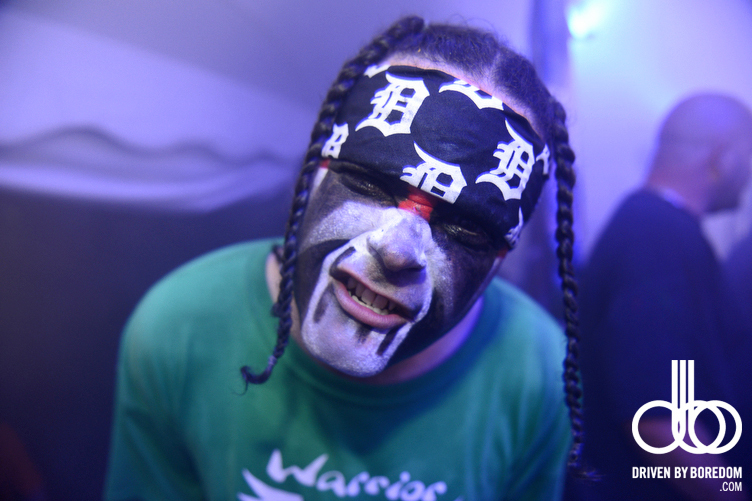 This year the parties didn’t feature the amazing performances, but they did feature some good times and some good DJs (DJ Clay is an amazing hip hop DJ even if you hate ICP). There was a black light party and a foam party and a “sluts and butts” party or something. All I know is that there are only a hand full of really hot juggalettes at the Gathering and chances are they are going to be either dancing or hanging out on the Bomb House stage late night. 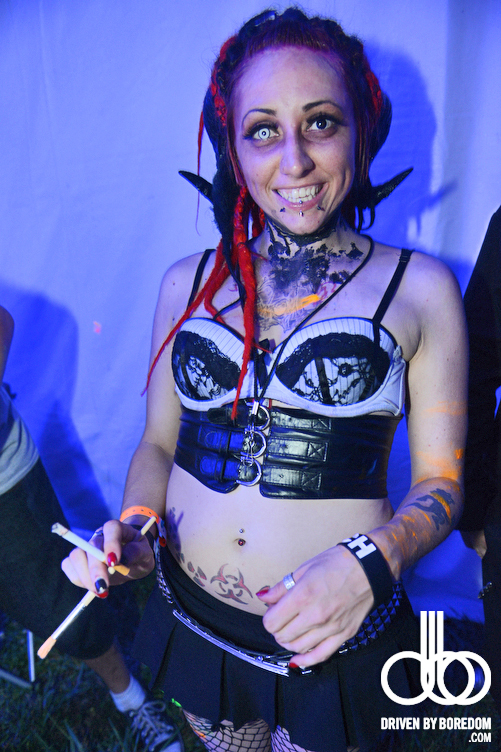 These parties featured a lot of scantly clad and naked girls dancing plus a lot of the Psychopathic Records family hyping the crowd. I even got a photo of the Insane Clown Posse without their make up. This gallery is going to feature a lot of NSFW goodness so don’t look it at work, as if anyone ever looks at my site at work. But if you DO want to look at naked juggalettes at work, you should download the Girls of Driven By Boredom App (works on all smart phones) and take it in to the bathroom with you because I just uploaded 900 photos of naked juggalettes to the app. You’re welcome. 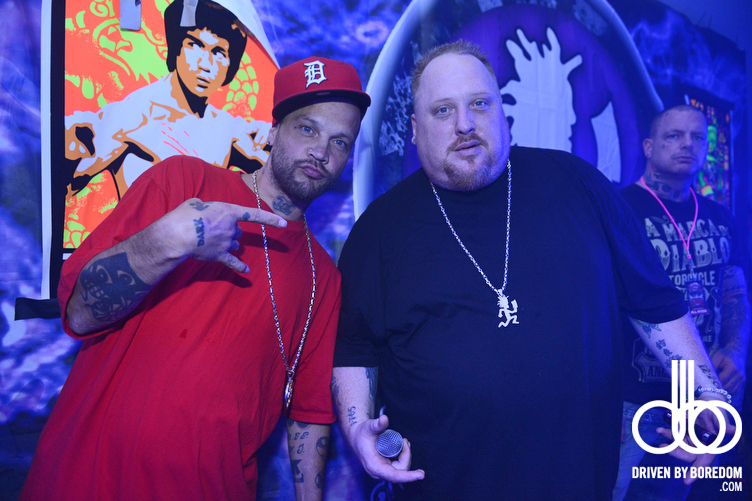 Now click here to check out all the photos from the Bomb House after parties at the 14th annual Gathering of the Juggalos!